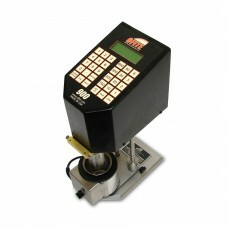 Model 900 Viscometer - OFI Testing Equipment, Inc. The Model 900 Viscometer is a true Couette coaxial cylinder rotational oilfield viscometer, which employs a transducer to measure the induced angle of rotation of the bob by a fluid sample. For a fully automated Control/Data Acquisition System suitable for research applications, the Model 900 Viscometer may be connected to a computer via a serial (RS-232) port using OFITE's exclusive and field-proven Windows™- based ORCADA® software. Optional KlikLock™ Bob (Patent Number 8,763,776) uses a magnetic coupling to make removal quick and easy. Brand: OFI Testing Equipment, Inc.